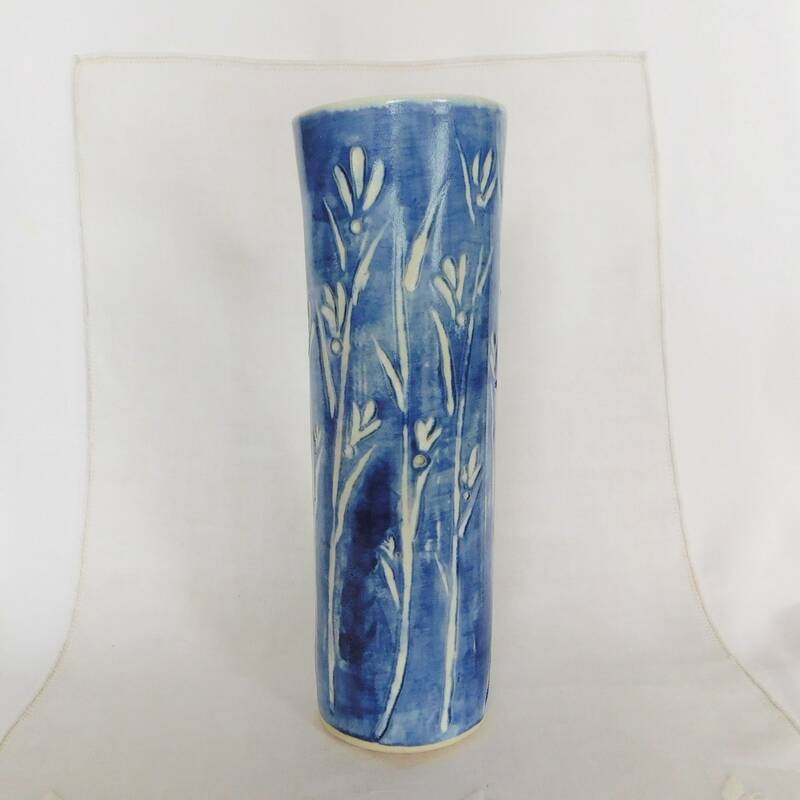 This tall cylinder vase in cobalt blue with hand carved white flowers has an almost an ikat look to its blue and white design. The texture of the stems and flowers can be easily felt. 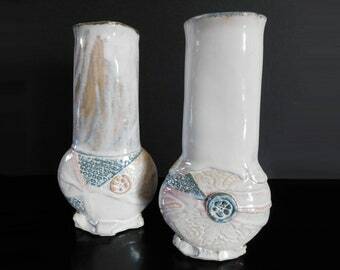 This would make an excellent vase for wedding decor. In spite of its fragile appearance, this hand carved tall cylinder vase will go through the dishwasher and will hold water in its lower half if you would like to use fresh flowers in it.